ASUSTOR Inc. warrants its NAS devices (excluding accessories) against any defect in material and workmanship, under normal use, for a three year period effective from the date of purchase. Subject to the conditions and limitations set forth below, ASUSTOR will, at its option, either repair or replace any part of its products that prove defective by reason of improper workmanship or materials.An extra warranty period may be provided by ASUSTOR’s worldwide dealers/distributors. Please contact your dealer/distributor for the local warranty period. Extended warranty may be offered with extra payment in some countries. All ASUSTOR products are diskless devicestherefore ASUSTORprovides no warranty for any hard disks installed on its devices, or warranty for the compatibility of all hard disks and peripheral devices. ASUSTOR will not be liable in any way for the loss of data stored on ASUSTOR products and any damage caused by this. In the event that a product is found to be defective within the warranty period, ASUSTOR will, at its discretion, repair the defective product or part, or deliver to the customer an equivalent product or part to replace the defective item.All products that are replaced will become the property of ASUSTOR. Replacement products may be new or reconditioned. The warranty label is broken or has been removed. The serial number label is missing or unrecognizable. The product has been modified or repaired by any unauthorized service center or personnel. The product was subject to abuse, improper use not conforming to product manual instructions, or environment conditions more severe than those specified in the manual and specifications. The product was subject to Force Majeure, such as acts of God, flood, lighting, earthquake, war, vandalism, theft, brownouts or sags (damage due to low voltage disturbances). If a customer's product is not covered under this warranty, ASUSTOR may offer repair services to the customersubject to a fee. 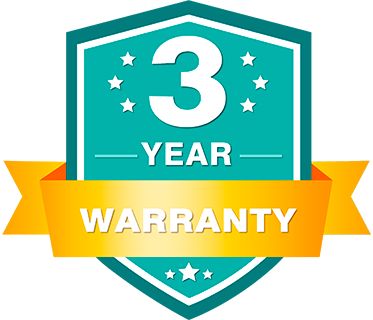 Warranty and out of warranty service should be obtained by contacting the system integrator/dealer/retailer/e-tailer or distributor where the customer purchased the product. When requesting service, a proof of purchase and product serial number must be provided. The return of a defective product should be done strictly through the original route of purchase.The customer shall pack the product appropriately to prevent damage to the product during transportation. There are no user serviceable parts inside the product. Do not allow any unauthorized service center or personnel to repair or modify the product. If the original channel is no longer in business or unavailable, the customer may contact ASUSTOR Technical Support for international RMA services. In this case, the customer will be charged for handling fees and all fees incurred, including two wayfreight, duties, taxes and brokerage fees. It is a customer's sole responsibility to properly back up his/her data. Before allowing any type service from ASUSTOR or its service providers, including remote login check and repairing services, the customer must back up all data and remove any of the customer's confidential, proprietary or personal information. Neither ASUSTOR nor its service providers will be liable for any damage or loss due to exposure of confidential or private information or data contained in any product, hardware, software or media. IF THE ASUSTOR PRODUCT DOES NOT OPERATE AS WARRANTED ABOVE, THE CUSTOMER'S SOLE REMEDY SHALL BE, AT ASUSTOR'S OPTION, REPAIR OR REPLACEMENT. THE FOREGOING WARRANTIES AND REMEDIES ARE EXCLUSIVE AND ARE IN LIEU OF ALL OTHER WARRANTIES, EXPRESSED OR IMPLIED, EITHER IN FACT OR BY OPERATION OF LAW, STATUTORY OR OTHERWISE, INCLUDING WARRANTIES OF MERCHANTABILITY AND FITNESS FOR A PARTICULAR PURPOSE. ASUSTOR NEITHER ASSUMES NOR AUTHORIZES ANY OTHER PERSON TO ASSUME FOR IT ANY OTHER LIABILITY IN CONNECTION WITH THE SALE, INSTALLATION MAINTENANCE OR USE OF ASUSTOR PRODUCTS. ASUSTOR SHALL NOT BE LIABLE UNDER THIS WARRANTY IF ITS TESTING AND EXAMINATION DISCLOSE THAT THE ALLEGED DEFECT IN THE PRODUCT DOES NOT EXIST OR WAS CAUSED BY CUSTOMER'S OR ANY THIRD PERSON'S MISUSE, NEGLECT, IMPROPER INSTALLATION OR TESTING, UNAUTHORIZED ATTEMPTS TO REPAIR OR MODIFY, OR ANY OTHER CAUSE BEYOND THE RANGE OF THE INTENDED USE, OR BY ACCIDENT, FIRE, LIGHTNING, OR OTHER HAZARD. UNDER NO CIRCUMSTANCES WILL ASUSTOR, ITS SERVICE PROVIDER OR EITHER'S AFFILIATES, EMPLOYEES, OFFICERS, DIRECTORS OR AGENTS BE LIABLE FOR ANY CONSEQUENTIAL, INDIRECT, SPECIAL, PUNITIVE, OR INCIDENTAL DAMAGES, WHETHER FORESEEABLE OR UNFORESEEABLE, (INCLUDING, BUT NOT LIMITED TO), CLAIMS FOR LOSS OF DATA, GOODWILL, INCONVENIENCE, DELAY, PROFITS, USE OF MONEY OR USE OF ASUSTOR PRODUCTS, INTERRUPTION IN USE OR AVAILABILITY OF DATA. ASUSTOR'S AND THE SERVICE PROVIDER'S ENTIRE LIABILITY AND CUSTOMER'S SOLE AND EXCLUSIVE REMEDY FOR CLAIMS RELATED TO OR ARISING OUT OF THESE TERMS AND CONDITIONS FOR ANY CAUSE AND DESPITE THE FORM OF ACTION, WHETHER IN CONTRACT OR IN TORT, STATUTORY OR OTHERWISE, INCLUDING NEGLIGENCE AND STRICT LIABILITY, WILL NOT EXCEED THE AMOUNT OF THE PURCHASE PRICE PAID. THIS LIMITATION OF LIABILITY WILL BE EFFECTIVE EVEN IF CUSTOMER HAS ADVISED ASUSTOR OR ITS SERVICE PROVIDER OF THE POSSIBILITY OF ANY SUCH DAMAGES. THESE TERMS AND CONDITIONS GIVE CUSTOMER SPECIFIC LEGAL RIGHTS. THE CUSTOMER MAY ALSO HAVE OTHER RIGHTS THAT MAY VARY FROM STATE TO STATE OR FROM COUNTRY TO COUNTRY. THE CUSTOMER IS ADVISED TO CONSULT APPLICABLE STATE OR COUNTRY LAWS FOR A FULL DETERMINATION OF A CUSTOMER'S RIGHTS. SOME STATES OR COUNTRIES DO NOT ALLOW A LIMITATION ON HOW LONG AN IMPLIED WARRANTY LASTS OR THE EXCLUSION OR LIMITATION OF INCIDENTAL OR CONSEQUENTIAL DAMAGES FOR CONSUMER PRODUCTS. IN SUCH STATES OR COUNTRIES, SOME EXCLUSIONS OR LIMITATIONS OF THESE TERMS AND CONDITIONS MAY NOT APPLY TO CUSTOMER.